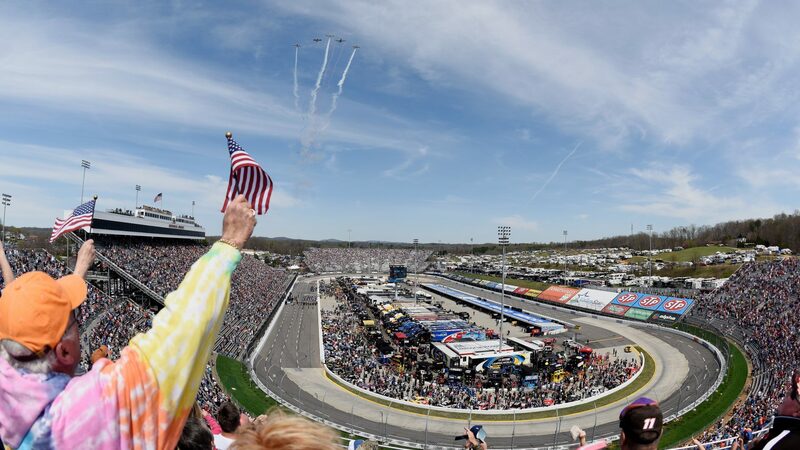 NASCAR will this weekend travel to Henry County, in Ridgeway, Virginia for a double header at Martinsville Speedway. NASCAR Camping World Truck Series and Monster Energy NASCAR Cup Series will race this weekend while the Xfinity Series is off. Martinsville Speedway opened for racing in 1947. The track is a 0.847 km (0.526 mile) paper clip-shaped oval. The surface is covered with asphalt on the straightaways but concrete covers the four turns. Banking in turns; 12°, backstretch & frontstretch; 0°. Track record, for NASCAR Series, is held by Joey Logano with 100.201 mph (18.898 sec.) in March 28, 2014. Most wins by an active driver at Martinsville Speedway is Jimmie Johnson with 9 wins (32 races). The grandstand currently capacity: 55 000 seats. Bonus facts. Oldest pole winner: Morgan Shepherd, 45 years, in April 26, 1987. The youngest race winner is “King” Richard Petty at the age of 22 in October 10, 1960.